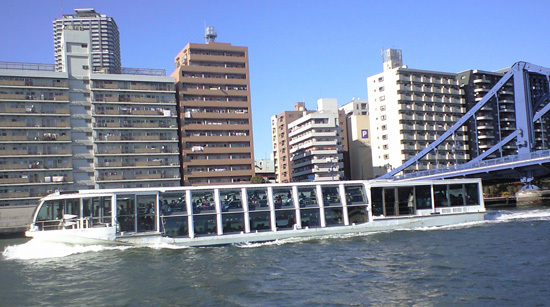 On January 27th, 2008 we rented a boat to cruise Tokyo bay for six(6) hours from 10.00 a.m. to 4.00 p.m. This has been one of the best trips I’ve ever taken. We cruised everywhere within the Tokyo harbor starting at Edogawa Marine club to Sumida River and Meguro river passing by Odaiba and the Rainbowbridge to DisneyLand. It was an opportunity to see the beauty of Tokyo from the sea and without the inner city crowd. 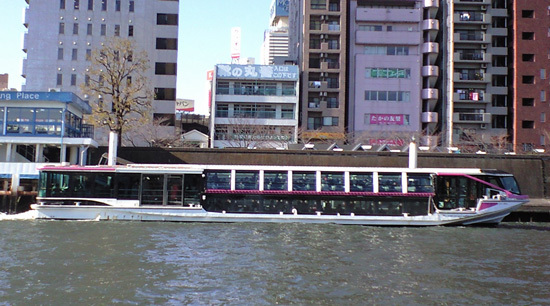 Along the way, these are two of the many sightseeing boats that passed us on the cruise, they are some of the riverbuses or boat operated by the Tokyo cruise Line to ferry tourists within Tokyo rivers. See other tourist attractions in Japan. Use Our Search Engine to search this site and other Online Resources.